It's CenterCore again... Wondering where to start. Well, first of all, just to get up to speed, check out my other stories. If not, you may not understand what I'm talking about. Well folks, it's official; Jerry is not anchored to one particular place or area. I'm here in Illinois, and I had a close encounter last night. Also, I was tired at the time. I heard that all-too-familiar cough, and then began hearing noise after noise. I was the only one in the house, and it was getting late. I heard feet shuffling in the house, somebody out on the porch, and kept on hearing random things throughout this house being messed with. I even took a short video, but got nothing, otherwise I'd post it. It didn't take long before I got tired of it and put headphones on. INSTANTLY, the noises out there stopped. I checked, and the dead silence had resumed. I never saw anything this time, just heard noises. Now, the main reason for this post is to discuss a theory I'm beginning to develop about who and what "Jerry" really is, though I have no speculation on this other spirit he's teamed up with (see my most recent post besides this one for that story). Okay, have you ever heard of a Tulpa? I've begun researching this concept, and I'm beginning to give credence to the idea that "Jerry" could, very well, be a manifestation of my own thoughts. But here's the catch; it seems that the less active MY own consciousness is, the MORE active HIS is. I have, in effect, actually given life to what seems to be a doppelganger of myself, because from the few times I've seen him, and the one BRIEF time I caught a glimpse of his face, he seems to have the exact same build and height I do. Only, he appears dead and pale, and is clean-shaven. A number of things seem to trigger these "Jerry" encounters, and it's taken me this long to figure this out. "Jerry" only ever seems to appear when I'm NOT expecting him. It could be anything; depression, stress, boredom, fatigue; ANY situation where my mind is predisposed to any feeling other then 100% alertness. But it doesn't happen every time. Or if it does, I simply don't catch it. I think "Jerry" is, in fact, NOT a ghost, which leads me to believe perhaps this has been the wrong site all along to share my experiences about him. He shares no characteristics of a normal "ghost", and seems to work in cooperation with my own subconscious. And I think he possesses an intellect and similar mindset that I do. He is tricky; he isn't exactly everybody's best friend. He works in mysterious ways. But yet he has somehow outsmarted me all these years to the point that it has taken this long for me to fully understand him and how he works. Basically, "Jerry" is me, or rather a different side of me. He has the ability to BE heard by others, but only when he chooses to be. "Jerry" has never been trying to gain anything from me; advice, help, anything. He messes with me. He, in his way, "entertains" me. I think he is the physically manifestation of a lot of things, the aforementioned "boredom', "stress", and 'depression". Only he is a physical being, whose consciousness is strengthened by my lack thereof. Now, I do also have a theory of the other spirit. I think that entity IS an actual "ghost". I believe this "Jerry", my own manifestation of myself, is able to commune with the spiritual side of the world. This other spirit's identity, I don't believe, plays any true significance. The important thing is, in a way, I can communicate with the afterlife, through "Jerry". I know I'm making no sense, and it's so hard to explain what I'm trying to say. The best way I can put it is, "Jerry" is me, but the spiritual version. It's as though he is my very soul, but the strength of his (or, MY) ability to separate from my physical body depends upon the percentage of my mental activity. His cough is that of a smoker; I WAS a smoker. It all fits, really. "Jerry" is really ME. A few commenter's in past stories have actually made this very suggestion to me, and now it's making perfect sense. I, essentially, have control over what "Jerry" does. I think, the times I have found items or objects misplaced or lost, it's my own doing. "Jerry"s own doing. This physical form I've created is actually manipulating objects in real-time, for lack of a better term. So, tell me; is there anyone out there who can potentially give any justice to anything I've just said? Is "Jerry" in fact MY OWN spirit, able to dissect from my body and move freely about? Or is this bogus explanation merely evidence that I've truly lost it? I'd LOVE some feedback, especially from those who are familiar with my experiences. If I'm right, then I've just solved this whole mystery at long last. The following comments are submitted by users of this site and are not official positions by yourghoststories.com. Please read our guidelines and the previous posts before posting. The author, CenterCore, has the following expectation about your feedback: I will participate in the discussion and I need help with what I have experienced. As a person who doesn't necessarily believe in ghosts (I need to see one walking along a street in broad daylight to believe them) I have found this very interesting, but this needs to be thought through rationally. Surely every "ghost" is an interpretation of your thoughts. You may interpret noises/anomalies as a ghost, when in fact it is just the ambient normal noises the every house makes. I believe that a tulpa may just be an extreme interpretation of unusual happenings, causing someone to create an imaginary copy of themselves, in your case. This is nothing more than psychological and I think you may be overthinking quite simple occurences. I have a friend studying psychology at university, I could ask him about this and get back to you. Well if you are going to try Yoga try Kundalini Yoga. As well as Hatha Yoga I teach Kundalini. It is a physical and meditative discipline, which comprises the use of the mind, senses and body to create communication between the mind and body. It also focuses on spiritual growth and the body's potential for maturation, and special consideration is given to the role of the spine and the endocrine system. Kundalini awakens the dormant chakras in the body. Top of the middle of the evening, all. Raingrl01, I LOVE your theory that Jerry could be someone I knew in a previous life. One thing I have to point out is, I can't be certain of ANY of this, I speculate that Jerry looks like me from what I've seen, but perhaps he does that intentionally as a means of getting my attention. I've certainly given some thought to yoga or other means to relieve my mentality of all stress that could produce "Jerry". I've never done any such thing, but that does sound like a good suggestion. And definitely I never had any intent to conjure a "tulpa" or any other form of supernatural phenominon; I believe that it is possible to subconsciously summon such a thing, completely unintentionally, mainly through a certain thought process, or maybe just out of malicious feelings (which, I admit I did have in my younger days) that may have spawned an entity equal in such deviousness, which is exactly what "Jerry" is. Anyway, I've found nothing on any "Miguel", but at this point I'm unsure which of the two spirits he even is. It could be a name that "Jerry" gave himself, or it could be this other spirit, but I'm not sure. The other thing is, as far as Jerry being in the military, he does look the part; then again, so do I, but I've never been in the military. I haven't gotten one of those strange phone calls with "666" or "9" or "34635474354863846378543" or anything else in the longest time, so perhaps Jerry has given up on that method. Another piece of knowledge, in case you don't recall from the first story; when I did pick up the phone that day, whether I was dreaming or not, after the initial voice spoke its bizarre piece, I heard what sounded like TWO voices mumbling in the background. Recently, I've seen TWO SPIRITS. This other ghost may in fact have been working with Jerry from the start, just never made himself apparent until now. so the only way to rid this Tulpa will be through exorcism. Have you tried taking a picture with "Jerry". What I don't understand is why would or how could anyone conjure one of these up, They seem became evil or very bothersome and caused severe stress to the person who visualises it into existance. That would probably explain why telling him to go away didn't work. It is possible, though I've never heard of it. I do remember reading that some people think Poltergeists are the like that- they're basically created by the energy a specific person gives off, so sort of cause their own haunting and that's why it doesn't effect anyone else. Maybe it'd be something like that? Hopefully this realization will let you figure out how to control him, and maybe get rid of him entirely. I agree with the yoga suggestion- that appears to allow you to control your mind and could let you get rid of him. Did you ever figure out anything on who Miguel was, or if it referred to either of them? Try something like yoga or meditation to frame your mindset... And if you want to discover more bout him, you can try talking to him, as you say. I found this story VERY interesting. The Tulpa theory could be a good one but my research on Tulpa's is that you have to almost WILL them into exsistance through deep meditation and concentration or maybe even a really strong imagination or even a legend or story that becomes bigger than itself. Now the fact that through a lot of self anylization you've come to theorize that this could be yourself is pretty deep. A lot of people theorize that our "high self" "soul' or "spirit" can travel, so to speak, while our concious minds rest. 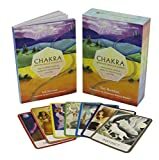 Could it be possible that your "higher self" has gotten so good at this that it might even come out to play or entertain you during times of little brain inactivity? I might subscribe to the theory. I think before you do I would explore it more through meditation. If this theory is correct, then during times of meditation that should free "you" up to play. Maybe even set up a few little things for your "higher self" to do while you meditate. Ask "yourself" to move a pencil you set up while in meditation. Give it a few simple task and see what happens. WOW Core... Not sure. It certainly sounds like it could be the case. I'm curious about something though and in no way do I mean any disrespect or to imply anything. When Jerry appeared in your life, had you experienced an illness in which you were prescribed meds? Could it be possible the meds are just playing with your mind? The reason why I ask is because that may be part of why you're seeing/hearing him. If not, then there's definitely something going on and although I don't have much advice to give, a lot of the posters on this site do and hopefully will be able to direct you in getting rid of Jerry... That is assuming you want to. Good luck and keep us posted. Your experiences sre sort of mind-boggling.but I have heard this, and I know its true, that if you see your own lookalike that never existed, it means its a forebringer of great misfortune. Sorry for that. These are even reffered to as the "evil twins".well, I would suggest you sort out ways to get rid of this "jerry",and the best way is to frame your mind against him. © The ghost story He Is Me is copyrighted to CenterCore. Edited by yourghoststories.com.